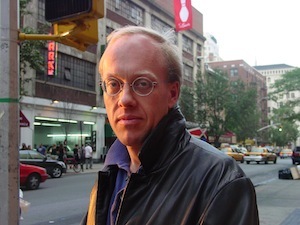 Chris Hedges spent nearly two decades as a foreign correspondent in Central America, the Middle East, Africa and the Balkans. He has reported from more than 50 countries and has worked for The Christian Science Monitor, National Public Radio, The Dallas Morning News, and The New York Times, for which he was a foreign correspondent for 15 years. Hedges was part of the team of reporters at The New York Times awarded a Pulitzer Prize in 2002 for the paper's coverage of global terrorism. He also received the Amnesty International Global Award for Human Rights Journalism in 2002. Hedges, who writes a weekly column on Truthdig, was honored by the Los Angeles Press Club as the Online Journalist of the Year in 2009, and won the Best Online Column Award in 2010 for his Truthdig essay "One Day We'll All Be Terrorists." Hedges began his career reporting the war in El Salvador. Following six years in Latin America, he took time off to study Arabic and then went to Jerusalem and later Cairo. He spent seven years in the Middle East, most of them as the bureau chief there for The New York Times. He left the Middle East in 1995 for Sarajevo to cover the war in Bosnia and later reported the war in Kosovo. Afterward, he joined the Times' investigative team and was based in Paris to cover al-Qaeda. He left the Times after being issued a formal reprimand for denouncing the Bush administration's invasion of Iraq. He has written eight books, including Empire of Illusion: The End of Literacy and the Triumph of Spectacle (Nation Books, 2009), I Don't Believe in Atheists (2008) and the bestselling American Fascists: The Christian Right and the War on America (2008). His book War Is a Force That Gives Us Meaning (2003) was a finalist for the National Book Critics Circle Award for Nonfiction. His most recent book is Death of the Liberal Class (Nation Books, 2010). Hedges holds a BA in English literature from Colgate University and a Master of Divinity degree from Harvard University. He was awarded an honorary doctorate from Starr King School for the Ministry in Berkeley, California. Hedges speaks Arabic, French, and Spanish and knows ancient Greek and Latin. In addition to writing a weekly original column for Truthdig, he has written for Harper's magazine, The New Statesman, The New York Review of Books, The Nation, Adbusters, Granta, Foreign Affairs, and other publications.